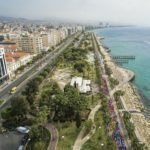 The AIMS accredited OPAP Limassol Marathon GSO is known for being flat and fast, covering long stretches of straight, traffic-free road, including the spectacular coastal road of greater Limassol. 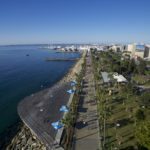 The race starts and finishes at Molos, the palm tree-lined seafront in the centre of Limassol, and stretches along the sparkling Mediterranean coastline which offers magnificent views. Add a refreshing sea breeze, pleasant spring temperatures of 9-17°C, and low rainfall in March, and there really is no reason not to sign up to #RunLimassol. 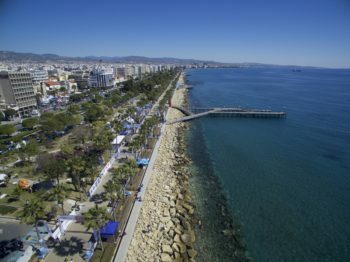 Limassol is the perfect destination to combine running a race abroad with a holiday or long weekend away with family, friends or your running club. Early bird prices with a 40% discount are available until 31st October 2017, which means it’s just €36 to enter the Marathon before the end of October. A range of race weekend packages including discounted accommodation options (from 3* to 5*) and other extras are also available. 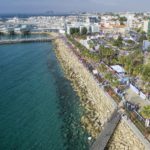 How to Find Start Line: The race starts and finishes at Molos, the palm tree-lined seafront of Molos, in the centre of Limassol and near the Old Port. Nearest Parking: Various parking options. Free shuttle buses also run from the official hotels on race day morning.